It is with great love that the Word of God was incarnate by the Power of the Holy Spirit and was born of the Virgin Mary, becoming a man, that same Word was in the beginning before creation, it became flesh and dwelt amongst us, (John 1:1-4) that same Word, our Lord Jesus Christ, gave us the Holy Gospels as a testimony of His uncreated word, and on the cross during His sorrowful Passion, Jesus summarizes His entire life and mission on the world with the utterance of the last seven words. 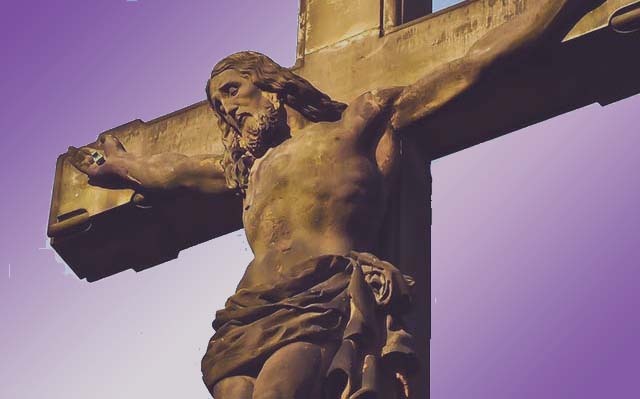 And we all must come to look upon the one that we have pierced (Zec 12:10), because it is only through faith in Him that we can be saved, there on the cross by His Holy Wounds we have been healed. (1 Pet 2:24). As we look and contemplate his wounds, the Father looks mercifully to us through those wounds and that Precious Blood. Jesus comes to intercede for us on the cross, He surrenders Himself to the Father, He offers His sacrifice as atonement for our sins; on the cross Jesus is the temple, the Priest, the altar, and the Holy Sacrifice. He is the Lamb of God who takes away the sins of the world. 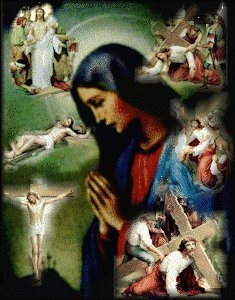 The Blessed Virgin Mary is at the feet of Jesus, He has entered into the most profound agony as His last moments on the earth are counted, and our Blessed Mother is also partaking in her soul of this atrocious agony that Jesus has to endure for the sake of all mankind. Let us listen to those last seven words of Jesus on the cross, and take them into our hearts as a compendium of the Word of God for us, as a testament of Jesus who loves us so much. Let us model our lives by those last 7 words on the cross. 4 My God, my God, why have You abandoned Me?